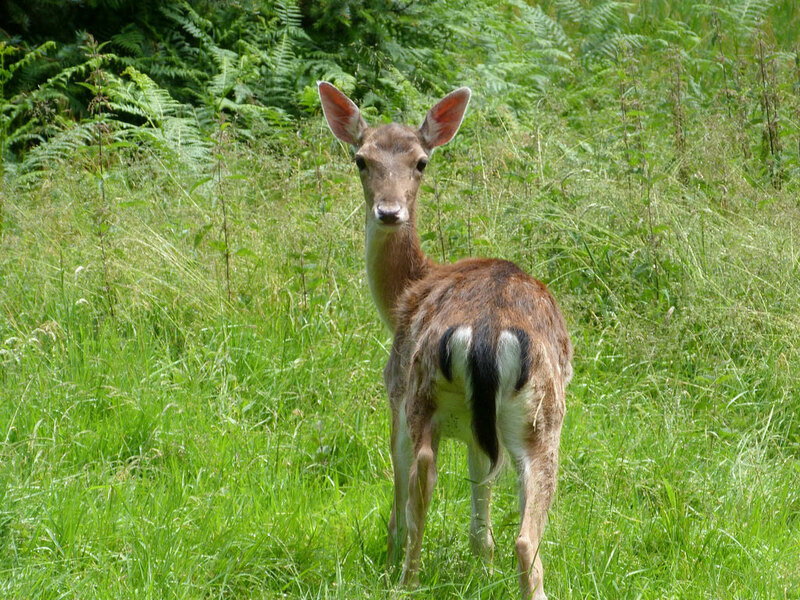 We have Roe, Fallow and Sika Deer in East Sussex and a few Munkjac Deer. During the spring and autumn they are frequently hit by cars as dusk falls during the rush hour for traffic. As the rush hour gets longer so does the frequency at which deer are hit and injured. WRAS also deals with a number of deer caught in stock fencing and netting of various materials. Deer become extremely stressed whilst being handled and rescued so it is important that those handling deer have an understanding or their behaviour and how to handle and control deer plus know when a rescue is not possible and too much of a risk to those trying to rescue the deer. Many road casualty deer are so seriously injured that they can only be put to sleep. However young deer are more likely to survive a road accident than adults. People frequently phone after seeing a deer limping or with the lower part of a leg missing. Many deer survive quite well on three legs. After being hit by a car a limping deer will have adrenaline running through its body which will either make it run off and disappear and you’ll not find it; or get up find somewhere close by to hide and collapse down not wanting to stand. Frequently young baby deer are found by walkers. The general advice is to leave well alone. It is normal for parent deer to leave their young hidden in long grass or other vegetation. However, parents do get killed on roads or killed by humans leaving orphaned young. It is important that these baby deer are not moved, if in doubt about whether the deer is orphaned phone for advice. The young deer will normally start to wander off when mum does not return. If found in an exposed place like short grassland - not hidden - and at risk from dog walkers or other similar hazards then the baby deer may well have been abandoned. Do not move the deer unless advised to do. We do not have facilities to take in and hand rear baby deer, but will pass them on to Deer Specialist Chris and Sylvia Collinson. WRAS receives many calls about deer caught by their antlers in rope swings, by their legs in stock fencing and by their antlers in electric fencing. These stand a fairly good chance of survival but it depends on the damage and the length of time in which the animal has been caught for. Please do not just cut a deer free and release it, it is always best to wait for rescuers to arrive on site first before attempting to cut them free. Deer caught in rope, netting or electric fencing should be caught and then have the rope/fencing cut free from the antlers - some people have set them free by cutting the rope/fencing well away from the animal which then runs off dragging several metres of fencing behind it to become caught up again later. Although WRAS does undertake deer rescues, the charity only has limited resources to take them in and care for them. We have a lot of experience in rescuing deer with their antlers entangled in rope, and fencing. Deer with legs caught in fencing need to generally come into care and these are normally dealt with by Deer specialists Chris & Sylvia Collinson. WRAS frequently gets about road casualty deer. The success of treating these casualties is very low. Quite often deer which receive a glancing blow from a car will just run off in an adreniline rush and you won't see them again. Other deer which are hit harder will first hit the vehicle and then hit the floor and virtually all the adult road casualty deer WRAS has attend have had either spinal damage or internal injuries and had to be put to sleep. WRAS is unable to euthanase deer itself and rely on vets to do so and WRAS has found that most vets are too busy or unwilling to get involved in dealing with such casualties, so now advises motorists to report road casualty deer to Sussex Police by dialing 101 (or if a road hazard dial 999) and asking them to contact the nearest deer warden. WRAS hopes to be able to change this in the future. Do not attempt to move a deer out of the road or scare deer away from grass verges as you may just cause the deer to panic and run in front of another passing car. Always position your car where you are safe and put your hazard lights on. Deer can cause a lot of problems in gardens and eat much prized vegetables and shrubs, for information of how to discourage deer from visiting your garden visit the British Humane Wildlife Deterrence Association.